How FSMA makes food safety works? In the United States, the obvious fallout of globalization has been that fifteen percent of its food supply is imported- including nearly half of its fresh fruit and 20 percent of fresh vegetables. Not only has the entire food supply chain become more hi-tech and complex, there is addition of more foods into the market place, and along with it, new hazards in foods that were not previously seen. Take the recent case of large-scale outbreak of Salmonella in eggs and peanut butter. The recall cost of peanut butter was 1 billion USD in losses to its producer in production and sales. Such events are always followed by consumer lawsuits too. The United States is also witnessing a shift in demographic – with a growing population of about 30 percent individuals being especially “at risk” of contracting food borne illnesses. This group includes infants and young children, pregnant women, the aged and those undergoing chemotherapy. While foodborne illnesses may quite often manifest as ‘just a stomach ache’, it can get more serious, leading to chronic diseases like Arthritis and Kidney failure. Statistics show that about 48 million Americans (or one in six) get sick each year due to foodborne illnesses, about 128,000 are hospitalized, and about 3000 die. These two situations have together turned food safety into more of a public health imperative than ever before, and prompted the U.S. Food and Drug Administration (FDA) to modernize and upgrade its food safety system, which is presented in the Food Safety Modernization Act (FSMA). This Act expands the authority of the FDA to unprecedented levels. What’s new about FSMA? The FDA Food Safety Modernization Act (FSMA) was signed into law by President Obama on January 4, 2011 and is now going through various stages of implementation. The cornerstone of this Act is prevention, rather than later responding to the flouting of safety norms. In principle, prevention is not new, but under the modernized Act, the Congress has given explicit authority to use prevention norms and protocol more broadly. Some ways by which this is made possible is by strengthening accountability for prevention, by having produce safety standards, by having standards for ‘intentional adulteration’ and transportation standards. While all this will extrapolate the frequency of inspections, new methods of inspection has also been put in place. These methods include i. Mandatory recall ii. Expanded record access iii. Expanded administrative detention iv. Suspension of registration v. Enhanced product tracing and vi. Third-party laboratory testing. 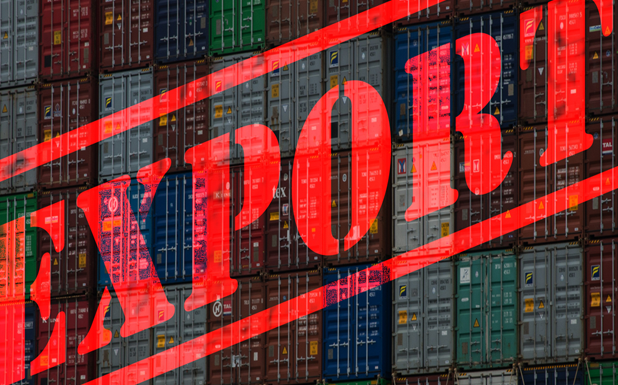 The most ground-breaking shift within FSMA, however, is import safety, which requires imported foods to be just as safe as those produced domestically – the focus being on public health protection. This would make importers responsible for ensuring that their foreign suppliers have adequate preventive controls in place. They are required to develop, maintain and follow a Foreign Supplier Verification Program (FSVP) for each food imported, unless an exemption applies. It requires mandatory certification for high risk foods, and a produce can be denied entry if FDA access to inspection is denied. Overall, the reliance on inspections by other agencies that meet standards will increase manifold, it will lead to more state, local and international capacity building and improve foodborne illness surveillance. An improved laboratory network for testing will also make it easier to find recall information. This broad authority eliminates the need for FDA or its agents to require judicial approval for investigations. 1. The Final Rule on Accredited Third-Party Certification establishes a voluntary program for the accreditation of third-party certification bodies, also known as auditors, to conduct food safety audits and issue certifications of foreign facilities and foods for humans and animals that they produce. 2. The Final Rule on Foreign Supplier Verification Program requires that importers perform certain risk-based activities to verify that food imported into the United States has been produced in a manner that meets applicable U.S. safety standards. This rule is the product of a significant level of outreach by the FDA to industry, consumer groups, the agency’s federal, state, local, tribal and international regulatory counterparts, academia and other stakeholders. The FDA first proposed this rule in July 2013. 3. The Final Rule for Mitigation Strategies to Protect Food Against Intentional Adulteration is aimed at preventing intentional adulteration from acts intended to cause wide-scale harm to public health, including acts of terrorism targeting the food supply. Such acts, while not likely to occur, could cause illness, death, economic disruption of the food supply absent mitigation strategies. 4. The Final Rule on Preventive Controls for Animal Food: The FDA has finalized baseline CGMP (Current Good Manufacturing Practices) standards for producing safe animal food that take into consideration the unique aspects of the animal food industry and provide flexibility for the wide diversity in types of animal food facilities. 5. The Final Rule for Preventive Controls for Human Food: This requires that covered facilities must establish and implement a food safety system that includes an analysis of hazards and risk-based preventive controls. The rule sets requirements for a written food safety plan that includes Hazard analysis, Preventive Controls, Oversight and management of preventive controls. 6. The Final Rule on Sanitary Transportation of Human and Animal Food: This rule is one of seven foundational rules proposed since January 2013 to create a modern, risk-based framework for food safety. The goal of this rule is to prevent practices during transportation that create food safety risks, such as failure to properly refrigerate food, inadequate cleaning of vehicles between loads, and failure to properly protect food. Food Industry Trends prompted by FSMA FSMA recommends companies to move forward with updates to their food safety management system, and adjust it when the final rules are issued. This has created a surge in technology solutions, analytical tools and training products marketed to the food industry, in order to enable compliance to FSMA. For example, businesses are now integrating their food safety programs with technology solutions. To achieve automated food safety and quality management systems, ‘Software-as-a-Service (SaaS) technology solutions have quickly gained a following. There’s also a considerable record keeping requirement that is being filled in by increased use of mobile devices for electronic record keeping and verification. Efficient document management and on-demand data retrieval is a mandated requirement of the modern FSQMS. Food businesses recognize the inherent obstacles of manually operated systems and so are moving toward rugged mobile devices and electronic record keeping. While small and medium-sized businesses are facing an uphill task to meet new FSMA record-keeping mandate, the FDA has issued small entity compliance guidance documents to assist them.